David Vincent had it all. An excellent job, A beautiful home, a gorgeous wife and two perfect children. Life was good, better than good, life was great. One night in a cheap motel room outside El Paso destroyed it all. He had stopped for the night on his way home from a business trip. The waitress in the café was sleazy beautiful, blue eyes rimmed heavily in black, blond hair teased into submission and the juicest red lips he had ever seen in his life. He should have known Joanna would find out, women always did. He only had to walk in the door and she knew something was different. He had broken down, wept like a child and confessed everything. He had begged, he had pleaded and in the end, he had moved out. Joanna said she could not trust him again, there would always be a question in her mind if it were still going on, if there were others. His new apartment was on the other side of town, a forty minute drive from the home he had meticulously made with Joanna and the kids. He saw the children every weekend, careful not to bring up the real reason for their parents separation. It was bad enough he had lost Joanna, he could not bear to lose the respect of his children. They were at that age where they still saw their parents as superheros, capable of incredible feats, like paying the bills and driving the car. If they saw him as nothing more than a man, and a lying, cheating worthless one at that, he would break down completely. His life was coming apart at the seams. David felt as though he were on a train careening towards a broken bridge and he was powerless to stop the tragedy ahead. He whistled as he buttoned his finest shirt, fixed the gold cufflinks into place. Joanna had called, said she wanted to have dinner. The kids would stay at her mother’s. He stopped and picked up a bottle of champagne and a bouquet of long stemmed yellow roses. She was beautiful in a pale pink floral dress. Dinner was perfect, Just like old times, before he had lost his mind, before he had destroyed their perfect life and perfect love. Screeching tires and twisted hot metal stopped the pain, stopped the hurt that was coursing through his veins. He saw blinding lights, heard rubber slide against wet pavement, and then blackness. He never had one of those out of body experiences, didn’t see the rescue workers pull his shattered body out of the lump of metal that used to be his car. He was pronounced dead at the scene, but David never knew any of this. He was already gone. He was on a road, a dirt road in the dead of night. He didn’t know what else to do but walk. Dried leaves crunched under his feet as he made his way down the path lined with old oak trees. The full moon provided light, sickly pale light. It seemed hours that he walked. The first sign that all was not as it should be was that he was not tired. He was not in top physical shape, yet he felt no need to stop and take a rest. The air was crisp and cool, and he noted that filling his lungs did not induce the typical fit of coughing that was the result of a twenty year affair with cigarettes. After a space, he actually found himself swinging his arms, and this realization produced a whistling. David found he was enjoying this brisk jaunt through oak trees on a moonlit night. Not once did it occur to him to wonder why he was here or how he had been transported. The whistling stopped as the realization came over him. The lights, the sounds, he must be passed out from the accident and dreaming. With that thought, the whistling commenced and he continued walking. Not a breath of wind nor the typical night time sounds marred the surface of this perfect moment. He knew he would wake up soon, most likely in a hospital bed, surrounded by his children and Joanna and they could start over again. Maybe this was just what Joanna needed to come to her senses. Was 15 years of marriage really worth ending over one lousy drunken night? The lights of the old, run down, wood board building shone through the trees, beckoning to David with their promise of warmth. Why not? He wondered to himself. Might as well let the dream run it’s course and not fight against it. The stroll through the woods had cleared his head and he was ready to see where else this vision would take him. He had a new outlook, had formulated a plan for when he woke up. He was going to ask Joanna and the kids to go away with him, maybe to Florida. Reform their family from scratch. Surely Joanna couldn’t say no to one last try. It would be just like when they were newlyweds. The kids were going to be his focus. He would be the dad they should have always had, the kind they deserved. 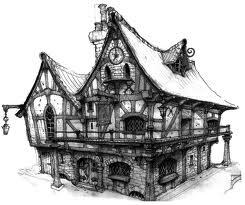 As he approached the little building, he could see a faded wooden sign swaying gently in the breeze. “Tavern Of Lost Souls” . Hmmm, interesting name for his subconscious to come up with, but why question your inner nature? The knob creaked as he twisted it and pushed open the rotted door. No laughter or clinking of glasses greeted him as the warm air hit his face. The mournful strains of Patsy Cline floated through the stale, smoke filled air. The enticing aroma of stew wrapped itself around him making his stomach growl. “Can do.” he grumbled as he disappeared into the back. David took a moment to survey his surroundings. The place was little more than a room with a kitchen in the back. Several worn tables surrounded by mismatched chairs were scattered with little rhyme or reason. An old jukebox stood in the corner, the fading lights flickering in a vain attempt to provide illumination. A few shadowed figures had taken up residence at some of the tables. There was an old man with his hat pulled down low nursing a solitary bottle of ale. The bowl set before him steamed and the aroma of fresh herbs and onions put an end to his musings for the moment. The stew was piping hot and delicious, warming his very bones that up until that very moment he had been unaware needed warming. As he ate, his thoughts drifted to the plans for when he got home. God, how he missed Joanna. Little Ted and Brittany. He had missed so much of their young lives and he was determined to not let that continue. He wanted to be at the ball games, the piano recitals and there for prom night. His priorities had gone awry, and that was going to change. The whistling from the corner interrupted his thoughts. Looking over, he noted a man, sitting at a table hunched over a pad of paper with a pencil in his hand. A lone cup of coffee steamed next to the man’s right elbow, as an ashtray in front emitted smoke into the air. The man’s lips were puckered as he whistled out a tune. David could not understand. The man looked as though, at that moment, he had nowhere he would rather be in the entire world than right where he was. This was a content man. The concept of being completely content with one’s life as it was at any given moment was a foreign concept to him. David looked up at the barkeep. It was strange that this dream should last so long. It seemed strange that his mind should put so many details into place. The crags of the man’s face, the reddish tint of his beard, the scratches in the marred surface of the bar. He could actually feel the heat of the stew as he spooned another mouthful. “Surely, they should have revived me by now.” He muttered to himself. This was not going well, and he began to panic. Perhaps he should ask the bartender where he was. “That’s silly, he is a figment of my imagination, he doesn’t have any answers.” After having his fill of the stew, he settled back into his chair, trying to make sense of this all. It had been plenty of time to get him to a hospital, treat him and hook him up to the machines. He should have awoken by now. The man chuckled! He actually chuckled! “No phone. No one to call.” He said as he began to walk away. With that, he turned and walked away. David didn’t understand. In the silence, he could hear the pencil of the man in the corner scratching the service of the paper. The old man cleared his throat and someone in the kitchen dropped something. David was left alone with his thoughts and the now cold coffee. No way out, no way to go home. Where the hell was he? “Well, your not there, that’s for sure.” A gruff voice said from the corner. He looked over to the man with the pencil. “In hell, I mean. Your not in hell, so might as well get used to it.” The man took a deep drag off of the cigarette. David could hear the tobacco crackle. The man motioned for David to sit down. “Name’s Mike. Here is here. That’s all you need to know right now.” David raged at the cryptic speech of those around him. Why couldn’t he get a straight answer from anyone? “You are getting your answer, you just don’t understand it. After awhile, you’ll get used to it.” Mike said as he continued to sketch. The coffee in his cup still steamed, although, David didn’t remember the bartender coming to refresh it. The scratch of the pencil hypnotized him. He watched Mike sketch for what seemed like hours. Time melted away, and David began to drift back into the recesses of his memory. He remembered the day Ted was born. Joanna had been amazing. She had refused anything that would have helped with the pain. David had been afraid for her, afraid the pain would be too much, but his wife had held on, hardly making a sound as she brought their son into the world. He had been so small, so perfect. Ten fingers, ten toes. David had marveled at the magic that Joanna had created within her womb and brought into the light. He had gained a whole new respect for his wife. Anyone who could do what she just did deserved to be treated as more than human. Like a goddess or something. When little Brittany was born, he felt that feeling of respect double. She was an amazing woman. Every day, he would look at his children and see a miracle standing before him. A miracle that Joanna had brought into being. He remembered their wedding. Simple, tasteful and glorious. All Joanna’s doing. If it had been up to him, they would have had a back yard bar-b-que with a few kegs and some hot dog’s. She had made the event elegant. It had been one of the best days of his life. Looking into her eyes and vowing to love her to the end of his days. “But you didn’t” The voice startled him out of his thoughts and back to the grim reality of the tavern. Mike was looking at him. “What did you say?” He asked, puzzled that the man would say something so inherently random at just the right moment. “I said, you didn’t. You had promised to love her to the end of your days, but you didn’t.” The man looked right up at him now. David was mesmerized by his piercing green eyes. A closer examination showed the man had dark hair, black, so deep that you could almost see stars shining in its ink like depths. His complexion was like that of coffee with just the right amount of cream. Such a stark contrast to the green of his eyes. “If you loved her, why did you do it?” Mike took another drag off of presumably the same cigarette, as David could not remember his lighting another one. It did not seem that the thing ever got smaller. “Again, not what I asked.” Mike turned back to his drawing, although David could not see what it was. David could not understand what he meant. What was this man saying? Oh, God, no! The realization came over him and he felt his body go limp. “I’m dead, aren’t I? Is this heaven?” Mike chuckled, shaking his head as he reached for his coffee. “No, this isn’t heaven, at least for most people. For me, this is exactly where I want to be.” Mike took another drag of the cigarette, allowing his head to drift up with the smoke. The look in his eyes showed nothing but contentment. “What is all this then? Am I really dead? I mean, really, really dead?” He clutched at Mike’s wrist, desperation in his voice. Mike tapped the cigarette into the ashtray and looked directly into his eyes. “Yes, you are dead. You died when you smashed into that truck. Luckily, the person you hit lived, but you didn’t make it.” He settled back into his chair, as David tried to make sense of this. It took a moment to sink in, that his life were truly over and there was no going back. When it finally did, he raged, seething deep within himself, unable to accept that he could not change it. Unable to accept that he could not simply walk out that door and come back to the world, the real world. He strode to the door, his mind willing his body to wake up and take him out of this place. Mike chuckled again. Not a chuckle, a full blown outburst of hysterics. He collapsed in the chair that Mike offered him, feeling exhausted in mind and body, regretting all the things he wanted to do that he never did. He had never been able to take his family on those vacations to Europe that he always wanted to do. To expose his children to culture and different trains of thought. He never had the time, work had always come first, and he now saw how everything had spiraled out of control, never giving his family the time and attention that they deserved. David sat while Mike sketched. Images swirled through his mind and he rode the wave, allowing everything to come rolling back to him. His parents, gone these ten years, his family, friends and co-workers. He recounted all these things, no ego involved when he recalled his finest moments, plenty of rage at all the things he would miss. He had always believed he would walk Brittany down the aisle on her wedding day. That he would help Ted with his bow tie on prom night. Hold his grandchildren and watch them grow. Rock on the porch with Joanna in their golden years and enjoy the time they had earned together. Mike cleared his throat and took another swig of coffee. Situating himself in his chair, he once more turned those hypnotic eyes on David and began to speak. Here, he paused. David could tell he was lost in his memories, lost in thoughts of his family. David felt for him, he understood what it was to miss one’s family. “What about your children?” He asked, determined to hear the rest of the story. Mike looked up, “Never had any of those. My condition was so bad no woman would take me on. I had relationships, nothing that could have lasted forever. But I had nephews, and a few nieces that came after I was gone. I see them, I watch as they grow. And I am proud of my siblings for the job they are doing with them.” Mike cleared his throat again, trying to swallow the tears that welled in his eyes. “I have no regrets. I loved them as much as anyone could love their family and I know that they loved me. That was all I ever expected out of life. It was all I ever wanted. I enjoyed my time there just like I am enjoying myself right now. Now, you? I will never understand your kind.” He waved his hand, dismissing David like so much air. Mike turned and motioned for the bartender who rushed over with a fresh pot of coffee. Setting it down on the table, he rushed back into the kitchen and did not reappear. After refreshing his and David’s coffee, he continued. “Why do you think that you and Joanna got together? Hmm? Did you think you were entitled to her? Entitled to the life that you had? You were with her because you two had to create something that would help the world. Your joined efforts, forces, whatever you want to call it, was for the good of everyone else on the planet. Everything that each of us does every day directly or indirectly affects the rest of the population. You two had a positive affect. Your little stunt cost the world a great deal. A great deal.” More coffee consumed, another drag from the ever present cigarette. David mused over this, wondering what this all meant. He and Joanna had an affect on the world? “You mean our children? Is that how Joanna and I contributed?” Mike nodded, scratching the back of his head. David hung his head in shame, like a schoolboy caught without his homework. He understood what Mike was saying. Few people got to experience the kind of love that he and Joanna had shared. Few people got to experience true happiness. And he had thrown it into the wind! What was he thinking? Had he been thinking? He had to admit, Mike had a very good point. There was no way Joanna would have taken him back, he could see that now. Even if she had, it never would have been the same, the trust and true love would not have been there. Amazing, how one night could destroy forty years of work and sacrifice. He marveled at the uncertainty of it all. He marveled how someone could work so hard, gain so much, and one choice, ONE, could completely destroy everything they had worked for. David had to admit, shamefully, that he had thought such things. He had stopped by the burger place each morning for a cup of coffee and an English muffin sandwich and had seen the woman wearing too much makeup and obviously close to his own age and thought to himself that she must not want a real job, she must be lazy, because she had not bettered her situation for herself. He had never given a thought to the circumstances in the woman’s life. Perhaps she had no opportunity at education, perhaps she had the opportunity but not the financing. He felt ashamed of his own private thoughts, wondering when he had become so self righteous. Mike took another long draw on the cigarette, allowing David to ponder this for a moment. It was very true, this lesson. Why had no one thought of it on Earth? Why had no one stopped the masses and told them to look around them, that their life had nothing to do with right, but merely with circumstances. That the lives we lead are determined the day we are born to the families we are born to? How many of the janitors in his children’s school had more business sense than Bill Gates? How many fast food workers had the minds of top notch attorneys? What would his life have been like if his parents had not began saving for his college education the moment they had discovered the pregnancy? What would his life have been like if his parents had to live paycheck to paycheck like so many and there was no extra to put aside for his education? He saw now that life had more to do with circumstance than with right. Funny, to think that there was someone out there that was more deserving of his life than he was. “I don’t know about more deserving. The question of what is deserved, what is owed and paid is not necessarily the right one. The question that you should be asking yourself is, were you ever, even for one moment, grateful for all that you had?” Mike paused, allowing this new question to sink in. David sat back, musing to himself for a moment. “Yes.” David answered triumphantly. “The day Brittany was born. I remember looking at Joanna and my beautiful new daughter and remembering the day that Ted was born.” He felt on top of the world that day. He was blessed. Joanna was radiant. Her face flushed with exhaustion, her lids half open, dreamy eyed and smiling up at him. As he stood to go through the door, Mike tugged on his jacket sleeve. Solemnly, he handed him the piece of paper that he had been sketching on throughout their conversation. He looked down and tears sprang to his eyes. On the paper, Mike had perfectly rendered David’s favorite family portrait. “Never forget.” He said as David stepped through the door and into eternity.